Depart HOLYHEAD 10am. Arrive WREXHAM 5pm. Departing 10am prompt from Tesco Holyhead, LL65 2UH. 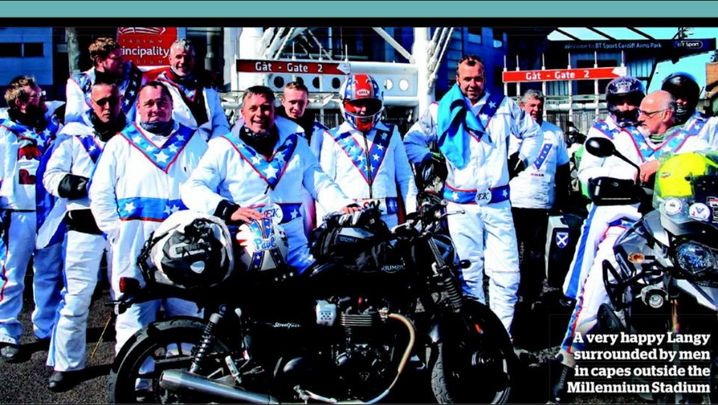 We depart 10am from Tesco Cafe Holyhead (on the old A5) and head clockwise on coastal lanes to continue the perimeter of Ynys Mon - the Isle of Anglesey. A brief coffee stop at Beaumaris before we cross the famous Menai Bridge and return onto the north Wales coast. Our first stretch of dual carriageway awaits outside Bangor to take us quickly eastward to the walled town of Conwy. A loop of the Great Orme and a lunch break & fundraiser stop at Llandudno 1-30pm. Continuing eastward along the north Wales coast, we negotiate bank holiday traffic.. Capes flapping in the north wales breeze. Heading inland following the welsh border, the day concludes back at Wrexham after we reach the border village of Holt on the banks of the River Dee at 4-30pm. 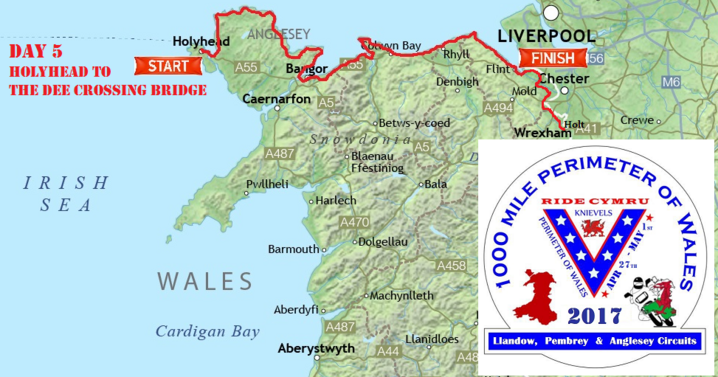 The 1070 mile perimeter of Wales completed for an 8th year!.. We are in the cemetery a long time - if your in two minds about this event - you need to do this! Start fund raising now!